I have been playing with some of the new stamp set and dies from Simon Says Stamp Among the Stars collection. Two days ago I played with the Tropical Leaves stamp set and coordinating dies. Yesterday, I played with Blooming Day stamp set. Love the stylised floral and foliage in this set especially the highlights on them. I made one card using faux watercolouring technique to create the background. And the second card I simply stamped the images in cluster to show how beautiful the images are as is. For this card, I stamped the images using distress inks on watercolour cardstock, then used the water brush to even out the colour and get watercolour look. I felt the images has no shades and depth to them. So I used a darker shade of the same colours from Zig Clean Brush watercolour pens and added shading to the images. Then I added some shadow using grey Zig pen. I lost highlights on the small flowers and so used white gel pen to add them. 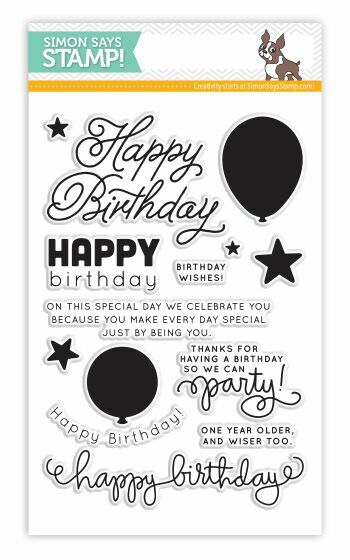 The sentiment from Simon Says Stamp Birthday Balloons stamp set, is white heat embossed on black cardstock and adhered using foam adhesives. Finally embellished with Clear droplets from Pretty Pink Posh. For my second card, I simply stamped the images from the stamp set in a cluster. 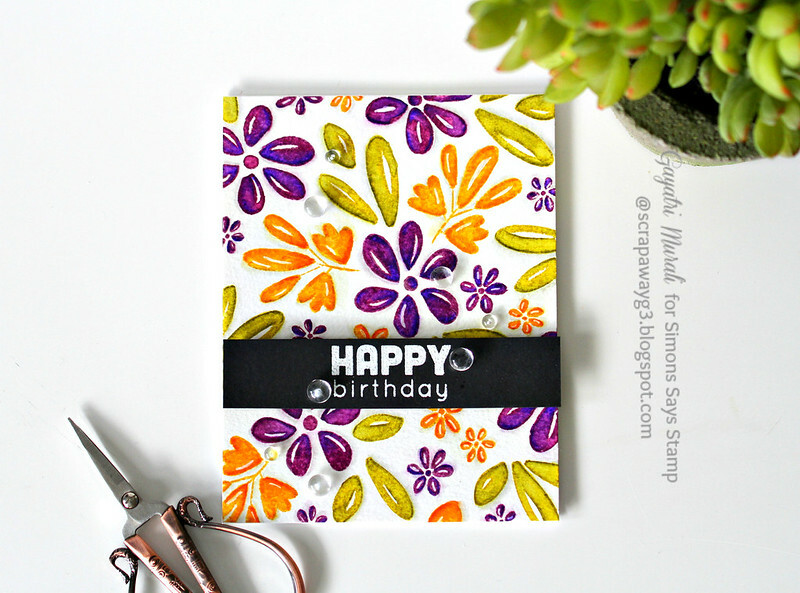 I picked a pretty colour combination from Simon Says Stamp inks to stamp my images. I used Melon, Hollyhock and Willow inks from Simon Says Stamp. Stamped the images using MISTI on the top left corner of the panel. The sentiment is from Big Scripty Greetings also from Simon Says Stamp stamped in Delicata Black Shimmer ink. Since there was not enough black elements on the card, I trimmed off quarter of an inch form the panel, added a strip of gold glitter and a black and white diagonal striped pattern paper. Finally embellished with gold sequins from Pretty Pink Posh. Hope you like them both. I love this stamp set. 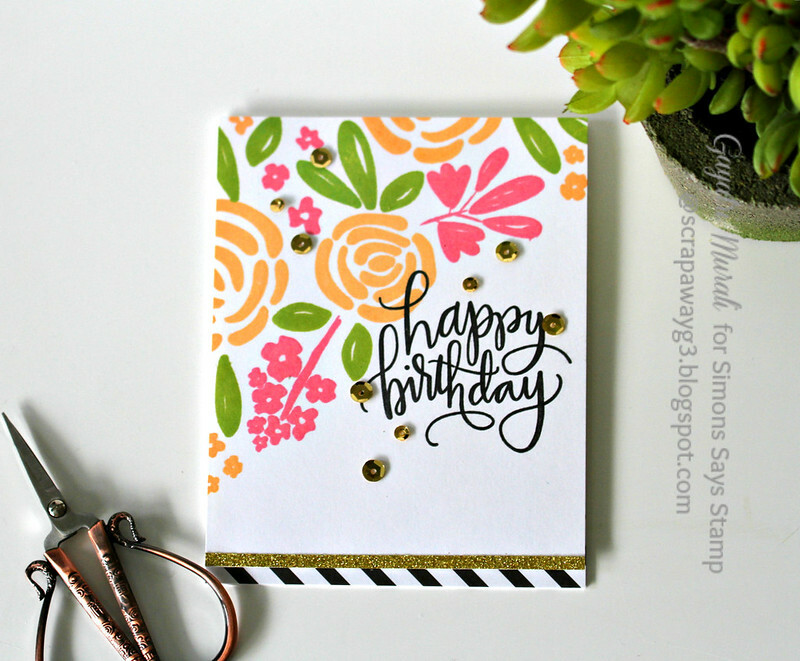 One of my favorite from Among the Stars release by Simon Says Stamp. Beautiful creations, Gayatri! Especially loved the first one, where you used the Zigs..looks absolutely gorgeous! 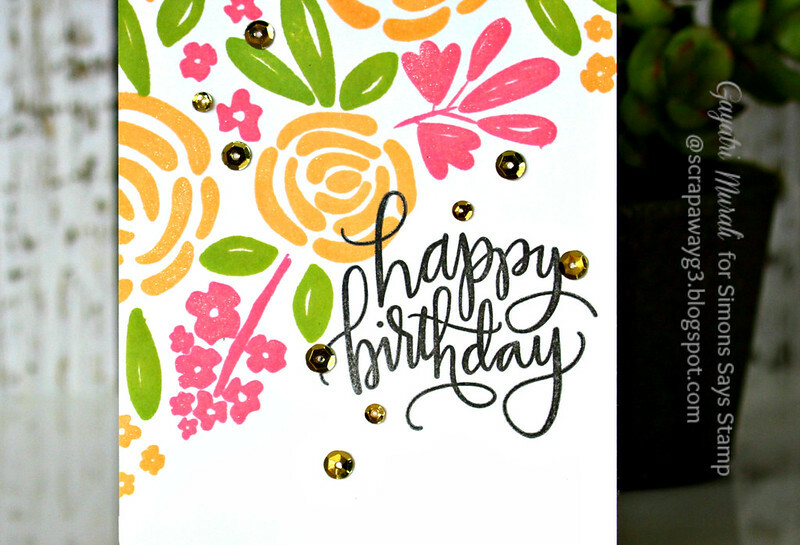 Such bright and beautiful cards, Gayatri! 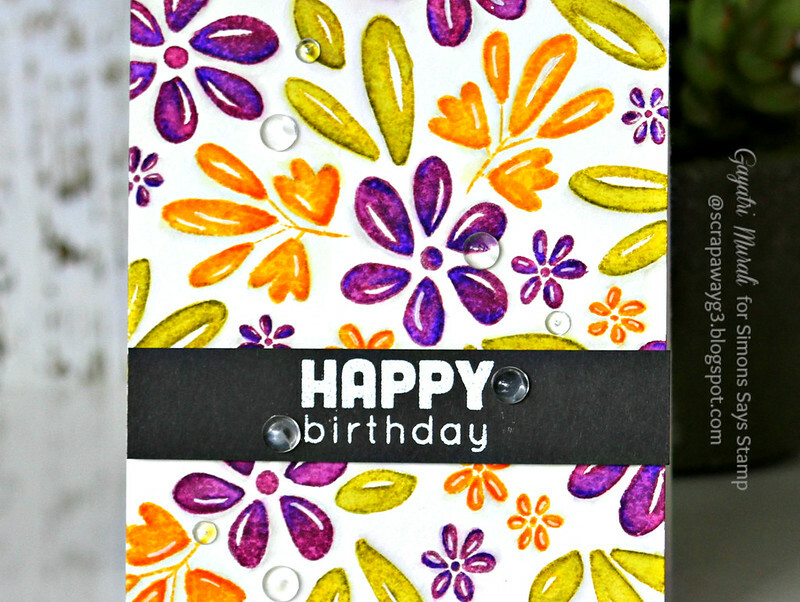 Beautiful flowers & cards–love the black & white & glitter strips!